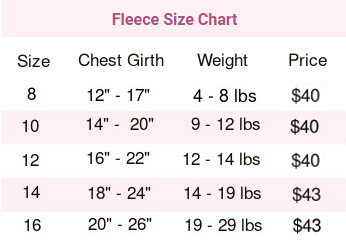 This is a warm well made sweater. I personally would like a Velcro opening on the front so it’s easier to get on and off. It’s perfect coverage for a dachshund with an extra long body. The workmanship is incredible and this is the softest sweater for my baby. He is a hard fit and your sweaters always fit. Thank you for making such great products for our length-challenged babies. Absolutely love the sweater I purchased for my Chiwienie! I was buying regular ol sweaters but they would come to her mid back, looked ridiculous! My grandson told me about your site and I’m very happy he did. The sweater fits her perfectly, goes all the way down to her tail, looks adorable! I bought two of these. My little old, cold dachshund loves this sweater. It is so soft and warm. He wears it all day long and also on walks. My 2 year old long haired dachshund mix does not get cold and is not too happy about wearing hers, but it is so cute on her. I will keep it as a spare for Fritz. The fit is nice and snug and goes almost to their tails. I got size 12 for both dogs. Fritz is 18 1/2 inch girth and 15 pounds, Carleigh is 17 1/2 inch girth and 15 pounds. 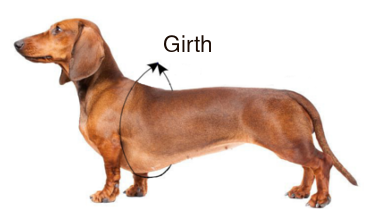 Love that they are made to fit a dachshund body! My mini-d loves the cozy warmth of the double fleece. The only detriment is that the length of the garment could have had another inch or so added to cover more of her little rear end. She weighs 10.8 lbs. Thank you!! Great jacket for our sweet, shivering pup! Loved this! Our Doxie mix pup has an autoimmune condition that causes his fur to fall out. This little jacket will be a big help in keeping him warm during the upcoming cold weather. The Duluth double fleece sweater fits my girl perfectly! She has a really deep chest but this stretches all around and hugs her tight, like a warm hug. Keeps her cozy and warm and it looks great on her. Happy I bought it for her!